inspired to do this look by my new Tom Ford - Lips & Boys Lipstick in Jude. It is such a nice cool toned, shimmering, baby pink. I wanted everything to look soft and like a fresh flower petal with a bit of dew on it. 1) After priming my face with the Nivea Post Shave Balm I buffed the Born This Way Foundation in all over my face. 2) Then in a C shape from my cheekbones to my temples I blended the the Shimmering Skin Perfector. 3) To tone that down I buffed the left over foundation on my brush over top. 4) Using the new (review coming soon), Color Correcting Fluid, I brightened where the dark color under my eyes is most strong. 5) I then blended that out with a damp beauty blender. 6) Then I used the Naked Concealer to conceal and highlight my face and I blended it out with the same Beauty Blender. 7) On to my favorite part, brows! I filled them in and set them with the ABH Clear Brow Gel. I wanted a very strong brow to contrast this soft look. 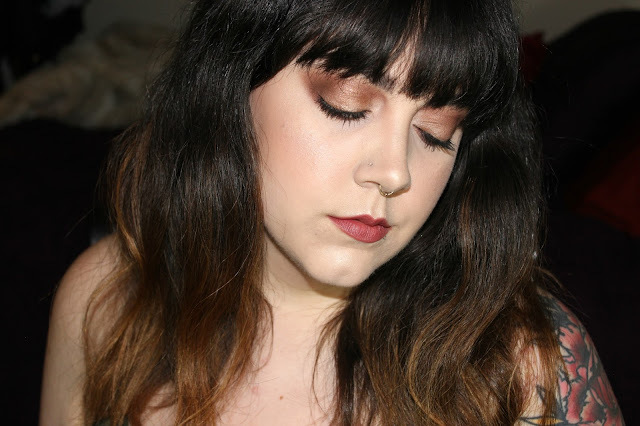 8) Then I set it all with my holy grail face powder from Charlotte Tilbury. 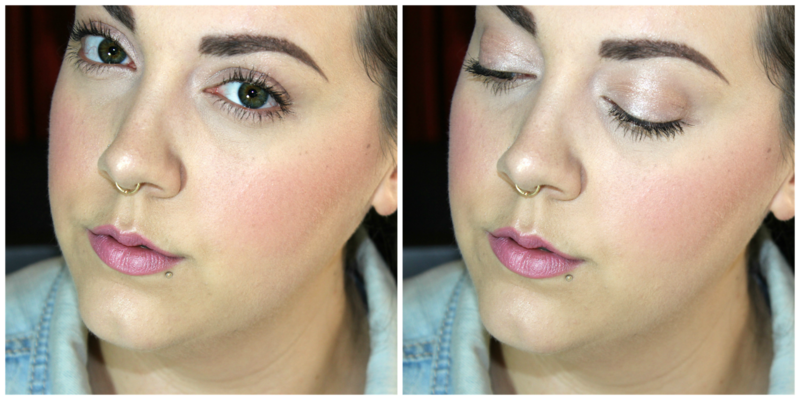 9) I misted my blush brush with Fix+ and swirled it in both of the blush colors and blended for a glowing pink cheek. 10) I then used the Inglot Sparkle Dust to highlight my cheekbones, cupid-bow and the tip of my nose. 11) Then I put Honey Bunny (review soon) all over my mobile lid and inner corner and blended out and up to the brow bone. 12) Lastly, I curled my lashes and put a good coat of waterproof mascara on. 13) I popped Jude on my lips and that is the finished look! I am really proud of this look and I think it is perfect for days when you're in a hurry, but want to look fresh. This look is good for many different occasions and is so easy to do very quickly. to know what product you use when you need to dash out the door. Tell me in the comments and let me know if this look is something you'd wear.